Pure Leverage – Yet another typical MLM Scam? Pure Leverage is MLM program launched in 2013. It’s also part of an umbrella company called GVO (Global Venture Opportunities) that was founded in 1999 which provides hosting services & autoresponder. In short – Pure Leverage program is described as means to help you to make money online regardless of your level of expertise or previous marketing experience. Ironically, it’s actually not the case at all. Pure Leverage claims to be the only program you’ll ever need to make money online. They offer you “all-in-one” tool set through multiple upsells that does the work for you to build your business. What they actually offer you is a set of basic tools that work but do not fit together very well. Their main focus is to funnel you into buying their “tools” so you can create your own downline structure by selling Pure Leverage tools to other people. Yes, it’s one of those Multi Level Marketing companies. The list of tools includes coaching program, lead capture system, autoresponse & video email services, video conferencing & authority blog. It’s safe to say it’s regular MLM with one main difference of being lower in cost compared to other similar MLM programs. 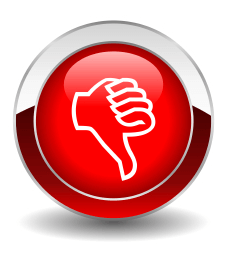 False claims & blunt lies offered by affiliate program reviews that are often delivered in angry & complaining manner. Poor support system – Expressing issues towards the system means that you should likely get ready to be publicly called out & verbally attacked, even by owner itself. How much does it cost to join Pure Leverage? How much can you earn with Pure Leverage? There is no real product or service behind Pure Leverage program. It’s mostly a bunch of tools you cannot use together very well. Experienced marketers can tell that most of the money can be generated through their affiliate program – to promote Pure Leverage itself – MLM through & through. There is no building an online niche business by using their “all-in-one tool set” they have to offer. Their payout system is confusing which makes it all even more questionable. 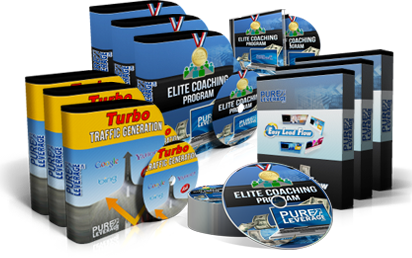 There is no real niche business building process, you simply join the Pure Leverage program to promote that program itself. A training process to introduce to you benefits of Pure Leverage & it’s tools. It’s meant to show you how you can utilize these tools, as well as how to get other people joining to the program to sell Pure Leverage products to them in order to make profit. First & for most, it’s actually all about building promoting-blog that revolves entirely around advertising Pure Leverage itself. Instead of building quality blogs they instruct you to copy & paste pre-written texts from Pure Leverage site to glamour newcomers & visitors with images that promises to make you rich.. pictures of fancy houses, cars, vacations.. you name it! This is the kind of ethics Pure Leverage uses in their marketing set up to lure their clients – There is no ethics, it’s pure product hype with whatever it takes to make their product sell better & more. It’s about seducing client with aesthetics, charm & making bold unrealistic claims instead of delivering quality content or creating realistic expectations for customer. In case you cannot build web pages yourself, this is an option that helps you put up pages to collect leads for you. From those tool packages you’ll get pre-written emails with auto responder that you can incorporate into your project. Yes, you can take a guess, it’s yet again entirely built to promote Pure Leverage itself. It can be used to attract customer & this is what Elite Coaching Program is focusing on. On the other hand Pure Leverage does not focus on how to build out your website in correct way to generate traffic. Unless you know how to drive traffic to your website & have proper knowledge about it, or you’re willing to pay a lot of money for paid advertising to make your site more visible, these tools have little to no use to you. They used to call it as Authority Blog as well. 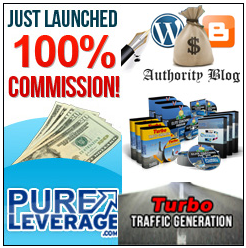 With Pure Leverage you will get your own blog. Once again, it has one huge problem ..it’s made to promote Pure Leverage itself only. If you’re trying to build niche business, or you’re looking for something else, these blogs are not going to be much help to you. Basically, they would hold no value to you. Another problem is that these type of blogs do not rank well in SEO, they’re close to useless. The company behind Pure Leverage program called GVO is also responsible for hosting these blogs. Many clients have reported that there are ongoing hosting issues. Some clients have complained that their sites are completely unreachable & they’re having problems with GVO very often. 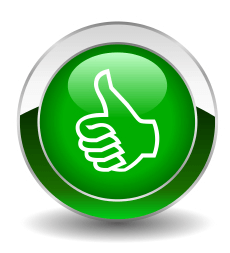 Based on customers feedback Pure Leverage web hosting isn’t the most reliable one. Another system that’s built to promote Pure Leverage only. It includes a theme that displays every tool available in Pure Leverage program. This product is promotion of the product itself to simply build biggest downline possible. It adds nothing to the actual quality of service. Sending videos via mail is nothing special anymore. There also have been a lot of complaints about this service as well as autoresponder services. What kind of profit will you make if you can’t even deliver your content? Yes, no profit. Also, unfortunately these kind of mails tend to go straight into customers junk folder to be never opened which completely defeats the purpose of this tool. 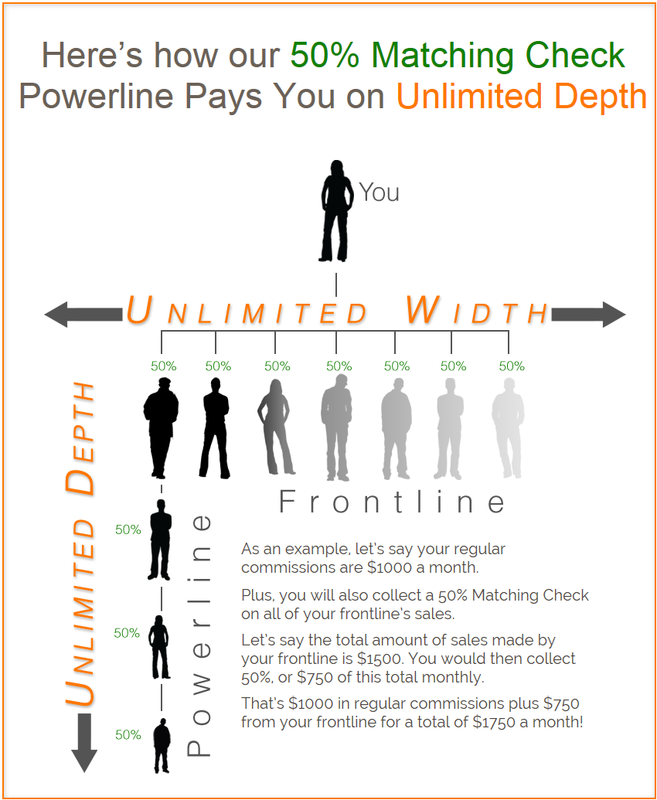 The goal of this service is to help you to build downline. For Multi Level Marketer it’s a must have tool to communicate with clients. But it’s inferior to the tools available online & that professional marketers would use. It’s the same thing as Google Hangouts, meanwhile Google Hangouts is superior product by far, has better quality & more established service, plus it is available for FREE. Why should you pay for lesser product if you get superior one for free? What about customers support in Pure Leverage? The very first thing you’re going to notice is a bunch of spam mails in your inbox. They will keep pouring in day after day. In first month you can expect to see up to a hundred spam mails there. It’s more than 1 mail per day that is telling you to buy their upgrades. In my case, the situation seemed so bad right off the bat that I didn’t even have to re-direct these mails into junk section, my outlook mailbox automatically did it for me. Likely, these addresses already are being reported & marked as spam sites, so your mailbox system might treat them accordingly, no surprise there. The owner Joel Therien is known to be aggressive & ready to attack you on forums once he finds negative comments. On the third party forums they provide, you should get ready to be called out if you decide to point out flaws in their system or criticize their products. In my opinion, not exactly a best way to build trust or ongoing relationship with a customer. Pure Leverage promises you instant support system but it’s far from what they actually offer: They do provide several ways to get contact with them but it’s mostly through email & it can take up to 2 days to get help, an answer for a simple question. Compared to other services available on internet, this one’s more like a waste of time than a proper support system for a marketer. The last thing you want to do is just sit idle & keep waiting, you want to make progress in order to earn profit. It’s definitely not instant support system by today’s marketer standards. At every step Pure Leverage is going to taunt you with their “Compensation plan” that pays you an unheard amount of 100% commission on their set of “Marketing Tools”. It’s for 1st month only. The following months will be 50% commissions. To be able to sell Pure Leverage products again you’ll be forced to become reseller & you must pay an additional fee of $19.95 per month. This is only a start, there are also hidden fees behind these initial fees. To spare you some time: Pure Leverage tactic is very similar to that a lot of companies out there are using – They let you in at a very low price point. After that they start overloading you with multiple new costs..
..domain cost, hosting cost, reselling cost & countless of other upsells in that case, which are well hidden behind this beautiful marketing-scheme frontier. To bring you simple yet universal example – Once you have your online project up & rolling, hosting fee is something you usually have to pay for. Mandatory stuff, plain & simple, otherwise your website project won’t be even online..
..let alone working in order to earn money for you – This is how companies like Pure Leverage quickly make profit off from you without you realizing it until it’s too late & you’re basically forced to pay for products like that. They hide it well, so on the right moment they can scale the price up quickly. These additional expenses might be low on cost & also fit well into your budget, but I’d still consider it as rogue move. In my opinion, you simply don’t do that to your client that you want to build trust & good relationship with. Is Pure Leverage Scam or not? I’d recommend you to stay away from it – It’s simply waste of your time & money. The only attractive thing they do differently is the low price point compared to other similar MLMs to get you hooked. Their main focus is NOT to help you build your niche business but to funnel your energy & resources to promote their own company to keep them up & running. Another big problem is their copy-paste type of blog pages that everybody is using the same way & that’s a big red flag for any search engine..
..once duplicate data has been found by search engine that particular website ranking is going to drop dramatically. In other words you’re going to have virtually no traffic to your website & you’re going to make very little or no profit at all like that. 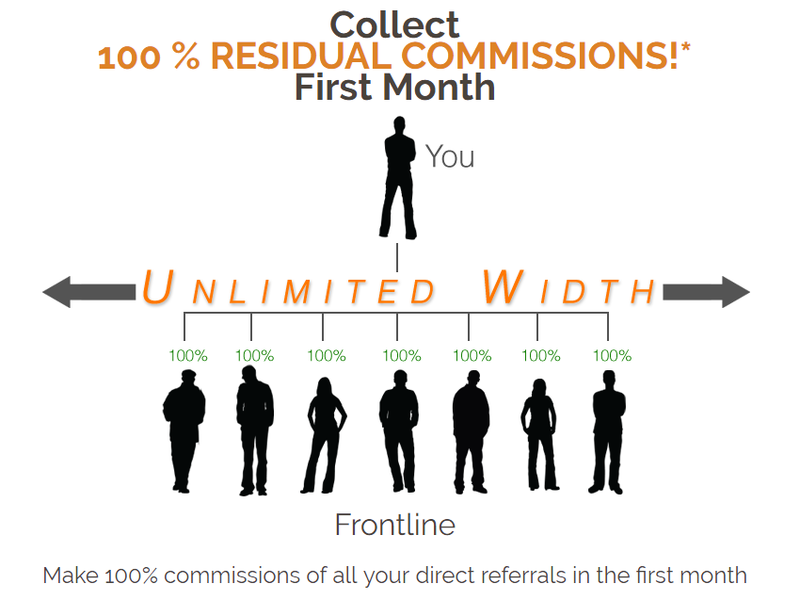 What about of this awesome 100% commission offer that Pure Leverage is currently using in their particular pyramid scheme? It really sounds too good to be true.. Yes, you guessed it, it’s another “fish-bait” to lure you in..
Here’s the catch – It’s 100% commissions first month only! In the first month you’re going to set up the very foundation for your online business in order to get yourself visible on world map – In other words, you’re trying to get ranked in search engines like Google, Bling & Yahoo. But before all of that you have to build a website, & with website you need content to make it work. An experienced marketer can tell you that it likely takes 2-3 months, in some cases 6-12 months til your first sale. To make sales within 1st month means you’re one of the few lucky ones that actually have managed to pull this off. It’s not impossible at all, but this is the place where you have to have a little bit of luck & know exactly what you are doing..
..otherwise, even winning a lottery would be much easier. This is one of the clear reasons why NOT to trust Pure Leverage in the first place – This is one of the typical marketing stunts to glamour you into this kind of business. Scam or not? Yes, it’s Scam. As I explained above, Pure Leverage tries to trick you into business by promising 100% commissions but at the same time their blogs won’t even rank well in search engines. That’s a huge red flag! Your work will be in void. So, should you join Pure Leverage? No, save your time & money. If you’re complete newbie just don’t go there at all. Statistics show that there are about 1% people only who can successfully make money off from any MLM. Unless you know exactly what you’re after & what you’re doing, I think it’s safe to say that you have no reason to join with Pure Leverage. Bottom line is, you’re simply going to be money in their pocket. If you’re after making money online, working from home, building a foundation to your online business – be it just a simple blog or dedicated niche project to make quickly an effective start in online marketing world..
..there are far better AND cheaper options out there than Pure Leverage regardless of your level of expertise. Luckily, I have better solution for you.. a Free one..
You’ve made it this far, so I’d like to help you out – To show you something that’s not a MLM with hidden fees.. I hope you enjoyed reading my review & learned a lot about Pure Leverage along the way. Thanks for the informative review, I will not ever be looking to get involved in this program now. It is quite insane that the owner would threaten someone with legal actions, that is quite childish and the man should learn to take some constructive criticism. Overall I can see that this program does not have the best interests of my success in mind. Those more established, are effectively covering up their emotions erm.. their fat lies..
Rest of the pattern remains same. I love the guy standing next to the red sports car – probably rented it out for the day just for that banner! Yeah I’ve heard of this lot before – they are blatant scammers and have been for quite some time now.At the end of the day – how many successful internet marketers do you know who own fast cars and mansions??? ..or in some case even more: Just edited pictures. That’s one of those typical “dream cards” they try to sell to inexperienced users. It’s usually very first strong sign of a poor business – Their business success entirely relies on bragging how successful they are. They aren’t. Successful marketers don’t have to brag about anything.. The video immediately shows up several red herrings – there’s no mention of what products you’re actually selling – because there is none! It’s a pure and blatent pyramid scheme – AVOID LIKE THE PLAGUE. Any make money online scheme that makes money simply by referring others is not a legitimate business model. That’s as far as they usually tend go – It’s a mere attempt to look like the real thing but they’re not. Did you notice that there’s also a small yet very important psychological trick attached to that video? Yes, it’s like watching a cartoon – Most people let their guards down INSTANTLY if someone shows them something “childish” – People will lose their state of seriousness for brief moment! Cartoons are perfect for that, an excellent way to deliver your message! Unfortunately, if the message itself is a scam in disguise, it can & likely will do some damage along the way to those unaware. Keep your guard up & stay safe! We are in a pretty similar niche and it was pretty refreshing to read someone else’s idea on creating something that they are passionate about and generating revenue from it. Do you have any specific tools or references for people that know what there passion is, but maybe can’t find an affiliate option? Finding an affiliate option will be easy. You can never go wrong with Amazon – There’s always something in it for everyone. You can join it for free & there are hundreds of thousands of products that you can promote. And of course… our good old friend Google always helps us out: Type in your niche + affiliate programs & there you have it. Tons of ideas as well as opportunities. Hi There, thanks for such a detailed review on Pre Leverage. This program seems terrible! Partnering with a Multi-Level company is a ticket to failure because you are basically working and giving money from your own pocket to people on the top levels. The upsells are horrendous and it’s highly unlikely that people make money on the first month with their websites. There are much better alternatives. People don’t need to partner with a MLM company to get started online. This is completely unnecessary. 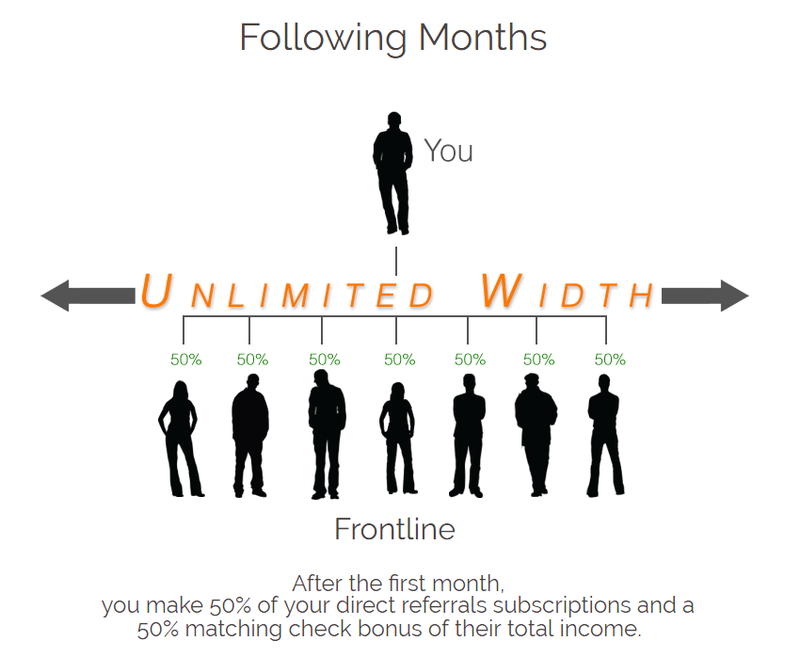 The free membership at WA is much better than the paid version of pure leverage. That’s for sure! One thing is our opinion, the other is statistics – Only 1% of people succeeds!? Yes, you’re absolutely right, MLM is a big gamble with your money in most part. Pure Leverage is one of those places. Almost everything talks against such campaigns. Wealthy Affiliate – One of the few places where you won’t waste your time nor money. No need to take risks if there already is a legit way. Thanks for sharing this page, it is a shame that so many people are trying to get rich quick by promising you the same, and we are so tempted that we end up being the losers. i like the expression that the more you are willing to give the more you will get.I have stated over and over that one of the reasons we can’t fix the problem of economic imbalance is that everybody is hoping to walk the same road so why block it.Oh for a better world and high ethics. I can relate to this expression, there’s a lot of truth in it. Thanks for taking your time to share your thoughts!